Hey hey! Life just continues to race forward doesn't it? We are already a whole week into September and somewhere in the last couple of days my mind made a shift to fall. The weather doesn't really change around here until mid October and even at that it only means that the frequent rain stops and the temperature becomes bearable. We really don't get "fall" weather until December/January but I've already pulled out my tall brown boots. YAY! I'll suffer the heat for a little fall fashion! 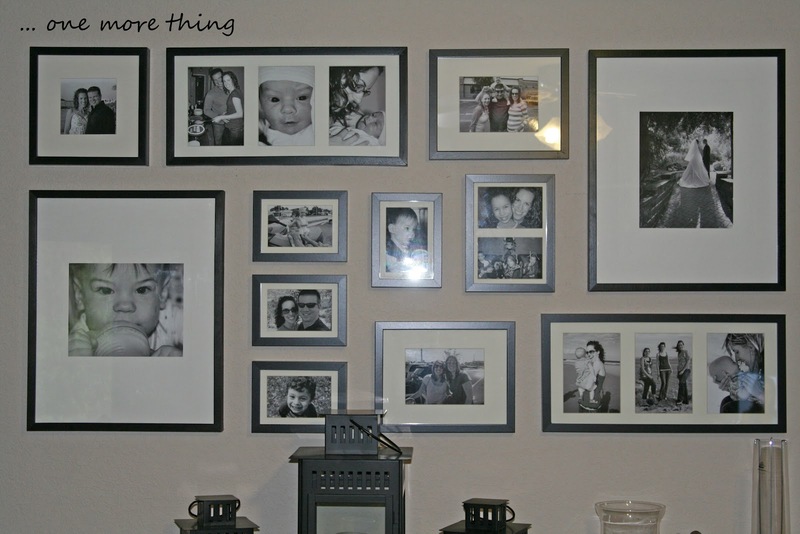 My last post was a sneak peak showing the picture gallery wall I put up recently. I still love love the gallery feel and how it takes up most of the wall. I'm already looking at updating some of the photos especially because little E is not on the wall yet. I thought I'd share with you my process in how it all came together. I'll warn you now, I was quite particular so I did use a measuring tape and level but I think it was worth it. A gallery wall doesn't have to be so symmetrical or straight so make it your own and adjust it according to your space and taste. Just remember that keeping the frames the same colour helps with continuity and is a little easier to put together. Different coloured frames can work but it takes a little more finesse to get the balance just right. 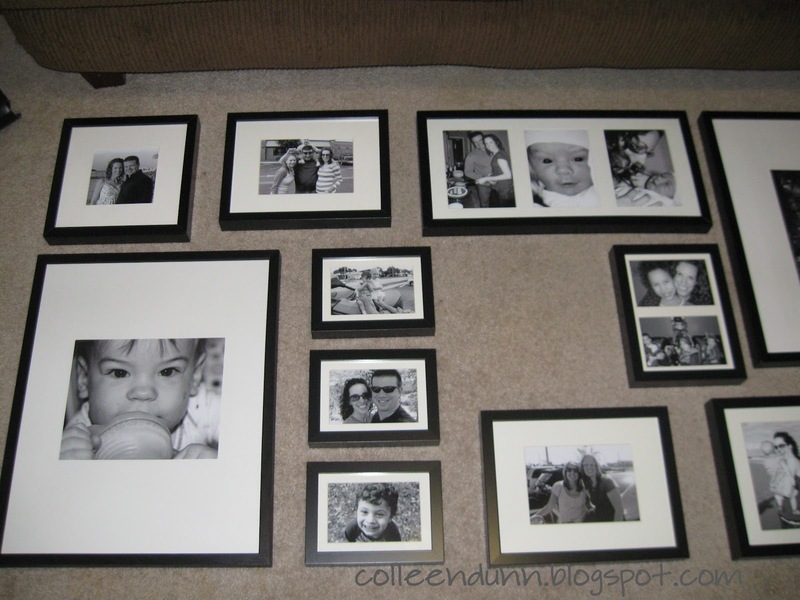 Lay out your pictures on the floor or some other large, flat space and move things around until you get a layout that is pleasing to your eye. 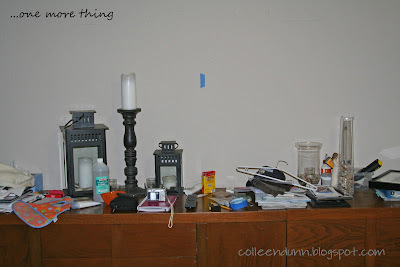 Just make sure you are keeping your wall space in mind and spread things out accordingly. 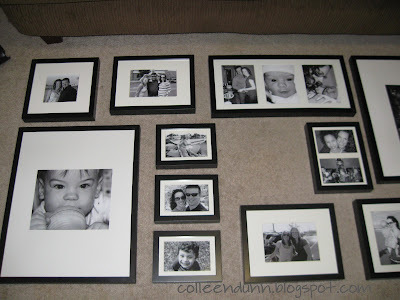 I wanted to keep things balanced without being exactly symmetrical so I made sure that I spread the large frames out. 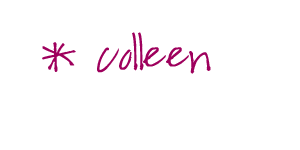 I also made sure to keep the same frames apart so your eye moves around the gallery without getting stuck in one place. Keeping the outside border straight and square also helps the gallery to feel cohesive even though it's made up of different sized frames. Don't look too closely though...the top frames aren't exactly in line. I didn't think it was worth adjusting since it's only a quarter of an inch off if that. Once I had the layout just right I took a few pictures with my digital camera. 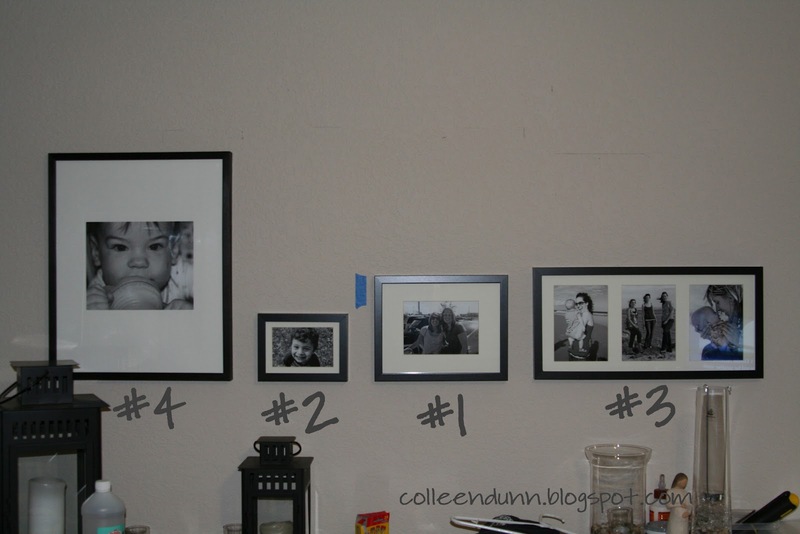 This last step is important as you start taking the pictures out of the layout and putting them on the wall. Mark the middle of your picture gallery wall on the actual wall. I used blue painters' tape because I knew it would come off easily. I also used the very scientific method of eye-balling to mark the middle of the gallery space. Find the bottom center of your picture gallery. It may be that you have a picture in the bottom center of the gallery or maybe it's a space between two pictures. I used the space between the two middle bottom pictures but that kind of back fired because the pictures are all different sizes and not equal on both sides of the space. This goof up could have been disastrous making the whole gallery lopsided but it all came together in the end and isn't that noticeable. Phew! My middle was the space between two pictures. Measure out where the first nail should go, take a deep breath and start hammering. I decided to hang my frames right onto the nails so I held the picture up to the wall, made it level and marked each top corner of the frame on the wall with pencil. 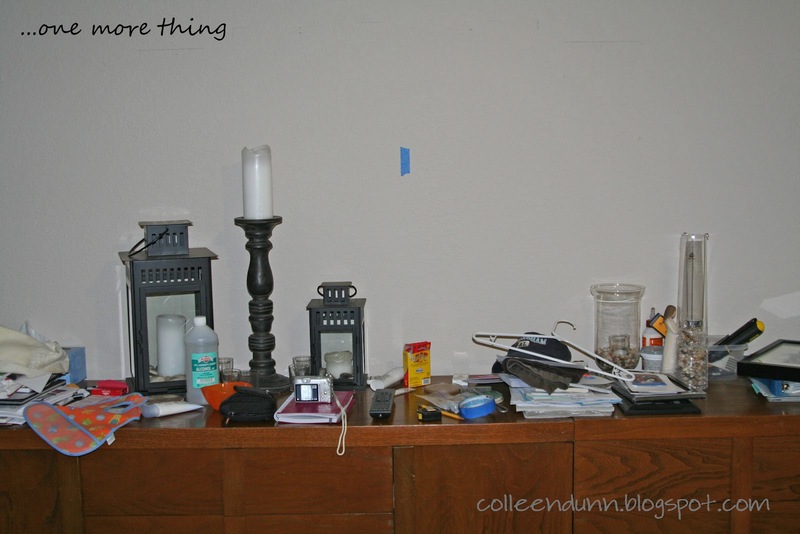 It won't really be seen but you can always erase the pencil once the nails are in the wall. Next, I measured how thick the frame was so I could know how far down from my pencil mark to put the nails. The moment of truth...put the picture on the wall and see how it all worked out. The blue tape on the left is the center of my wall and the little pieces of blue tape were my attempt to streamline the hanging process using a different method. It was a little frustrating and totally didn't work. Let's just keep it at that. 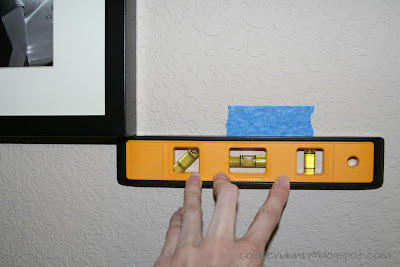 Use the level to find out where the bottom border of the gallery will be and put a piece of painters' tape on the wall so the next frame will come into line. Grab the next frame and follow step 5 again. This time, make sure you measure and mark the distance between the two frames. You can use either the painters' tape or a small pencil mark to show where the next frame should start. I kept about 2-2.5 inches between each frame. The next picture shows the order in which I put the pictures up. I found that it worked well to put up the pictures around the outside of the gallery first and then work on the inside pictures. I adjusted my layout as I went so I had to make the spaces between the inner frames a little smaller or larger than the original 2 inches. It may seem like a lot of work to measure and level everything but I think the final result is really worth it. I looked at using other methods for marking where the frames were to go but they were going to take just as much time so I thought I'd do things this way because I was comfortable with it. 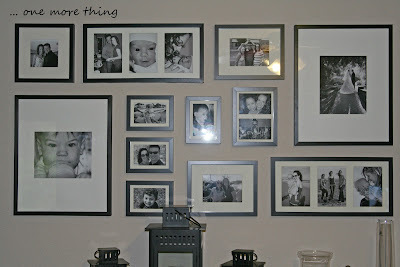 Here are a couple of other ways to put up a gallery wall. 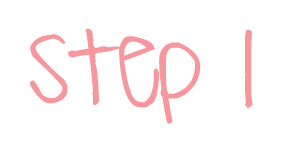 Click on the links to take you to the "how to." 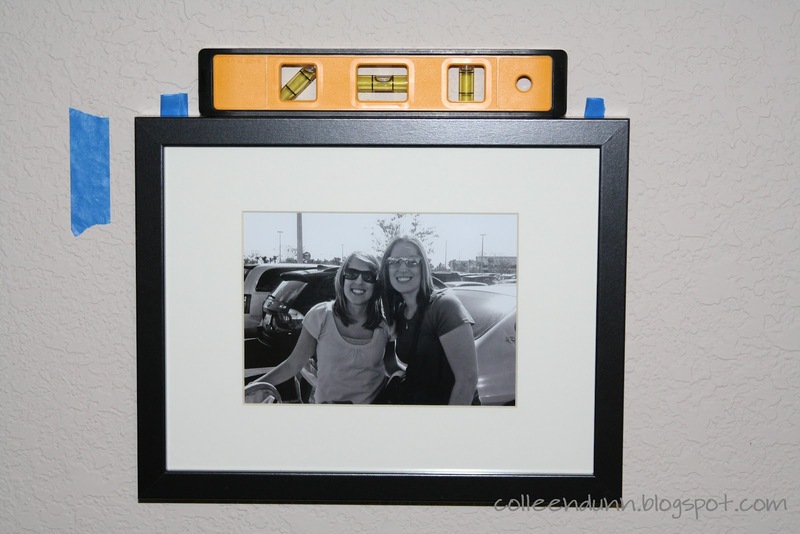 Have fun creating your own wall of memories and special pictures! I realize this is an old post but I was wondering if you could possibly tell me what size each of the frames are that were used in this gallery wall? Thanks!